range you glad this is not your kitchen? My beautiful cream and gray kitchen just hit a hiccup–a Big one. I checked the progress of the wonderful, meticulous, painters around 3:00 o’clock, and all was well. The trim was painted to perfection and the beautiful April Sky ceiling was dry and living up to its name. I heard the painters call me to tell me they were leaving for the day and would be back tomorrow. Surprise, the OC-26 paint was delivered as O26–’O’ for Orange. Beautiful creams and grays in progress at Noon. Surprise at Five–Cocktails? Yes, please…and keep them coming. 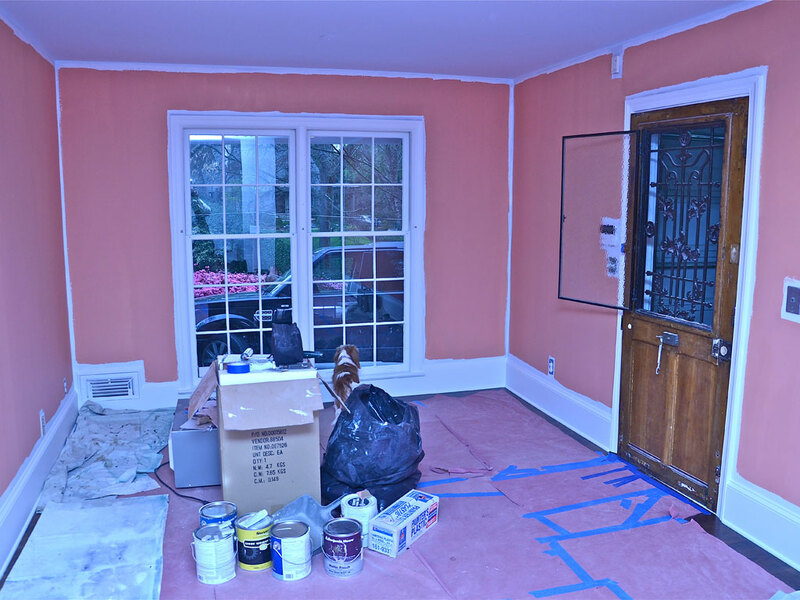 hope you make it through till when the painters arrive to fix the problem….but I must say, in the pic, the color looks fabulous! I have recently fallen in love with orange, especially the red-orange colors…can’t wait to see how it all turns out once you have the right paint color up.. I once had a bathroom at the beach house that was supposed to be painted cream… Arrived with a carload of houseguests and it was painted LIME GREEN…. 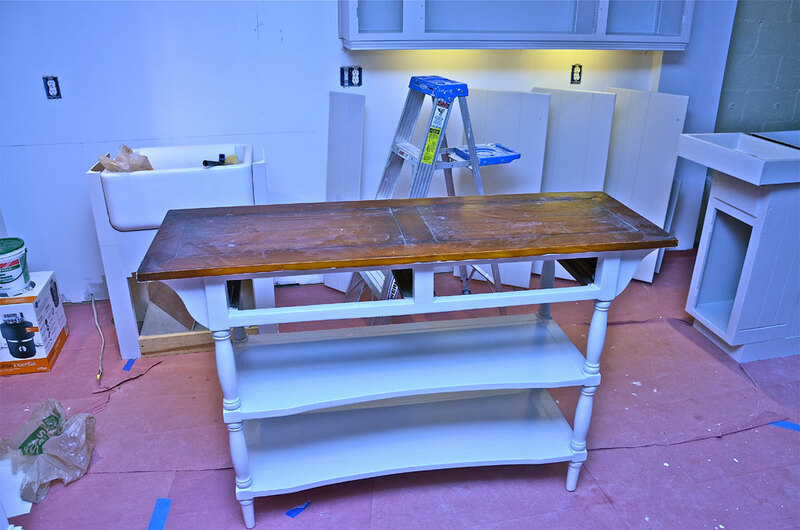 needless to say, it was a bit of a shock… hope the painters are ready for a few more coats …. Uh oh, time to do it yourself ? Did I dare suggest that? You are so funny. Can’t wait to see the finished project. By the way, I loved your kitchen before. I think I would have a few drinks! Girl – Take heart. I had a good friend tell me years ago that paint is an easy mistake. I know when you are in the middle of it – it doesn’t seem that way. But at least it is not a permanent mistake!!! What a hoot! I wonder if they even thought it might be wrong! And how much progress they made in such a short time! Miss you!